All products came from GW range. Of course you could paint it with Vallejo etc. It's up to you. In one of the GW books there was introduction to the stipping method and looking at my effect I must admit that it's the same method. 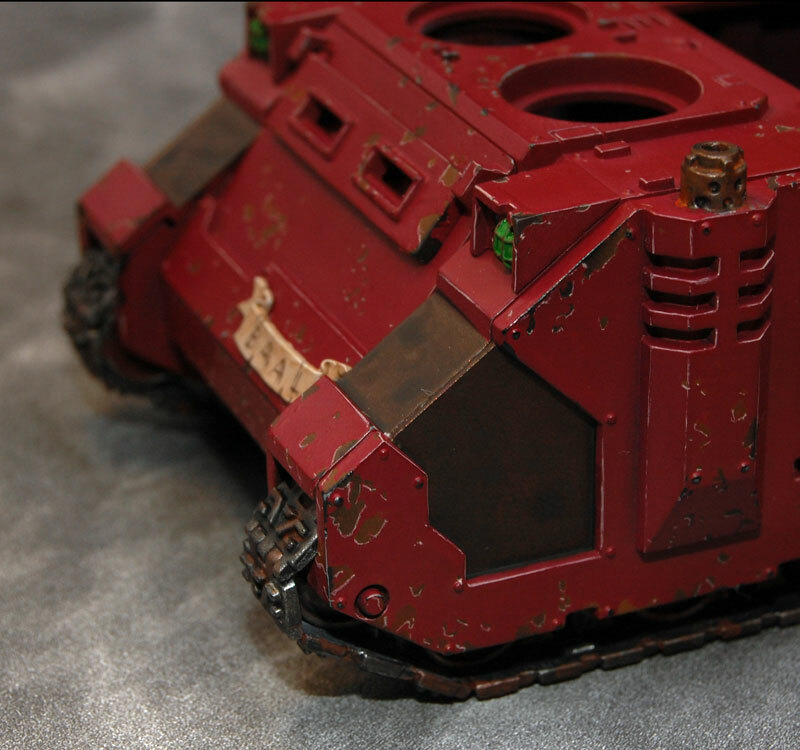 I've prepared this tutorial while painting my Razorbacks, but the method could be adapted to any model. Especially for tanks and pods. 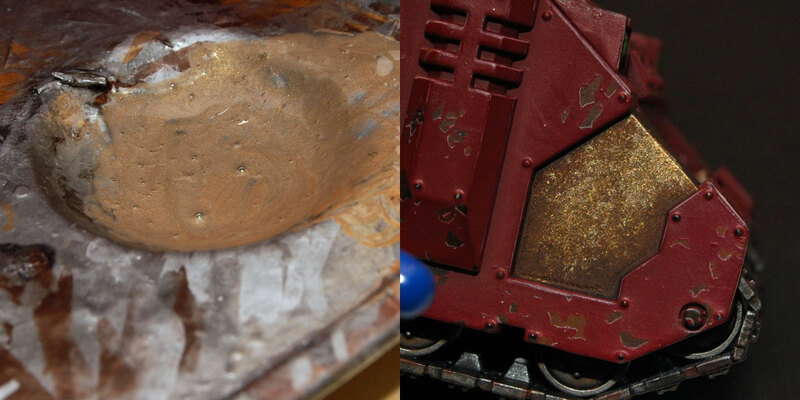 After the basecoating with Chaos Black spray I've mix Shining Gold and Scorched Brown 1:1 and cover the whole area. Large Brush was used. Next step is to give two coats of Devlan Mud wash on the entire area. On the bottom of the elements and in all recesses you can also put some Badab Black wash. When all of the washes dry we can continue our painting. Now the entire process will go very fast. 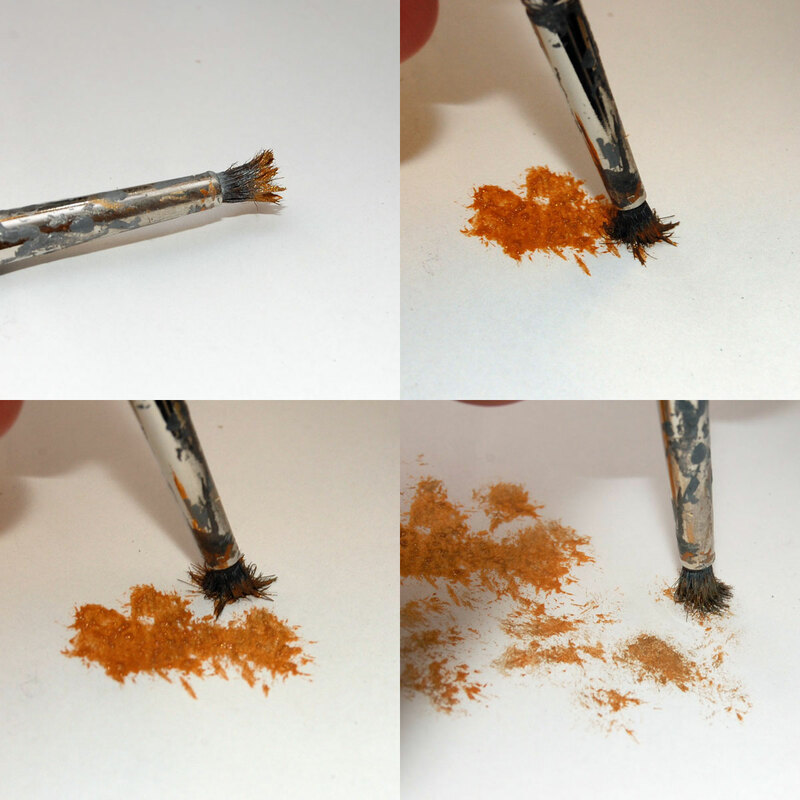 Take a little bit of Shining Gold paint on Medium Drybrush and start drybrushing on sheet of paper. Leave almost all of the paint on paper. 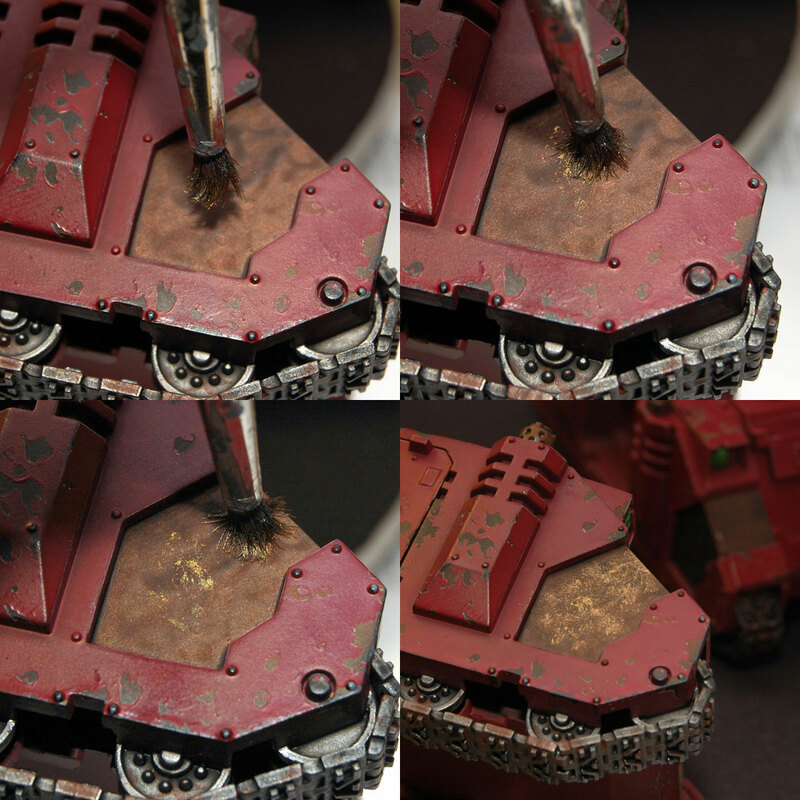 When you got almost dry brush start to stipple paint on the element. Leave some space of the clear area to achieve good looking finished effect. Next step is a mix of Shining Gold with Mithril Silver 3:1. Follow the same steps written before. One important difference is to begin painting with new mix at the half of the previously painted element and follow in the upper section. If you like the effect you can stop here, but if you would like to give more contrast you can stipple pure Mithril Silver. In some of the cases it's good to add stains. They look pretty cool on the model. 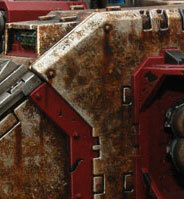 Look for recesses and bolts and vertically paint stains. 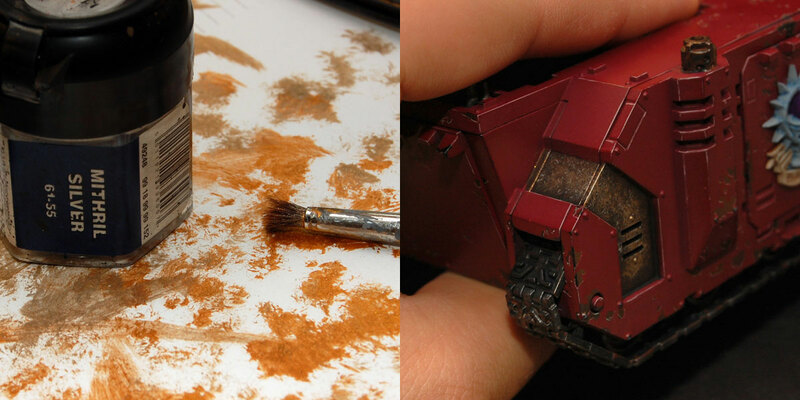 Below you will find effect of my work while I was painting Land Raider Crusader. 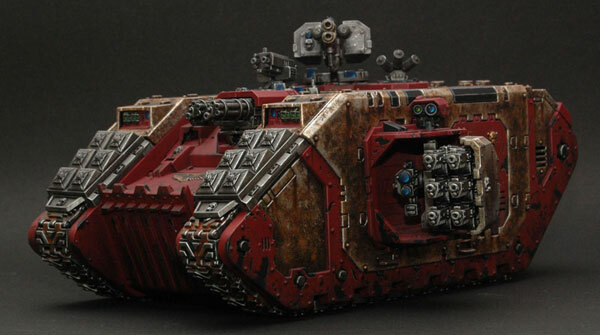 To achieve this effect I've used following washes (in order of painting). All came from GW range. That's all from me. Thank you for reading and sorry for my bad english. I hope that this tutorial will help people to achieve similar or better 'rusty' effect. Additionally you can look at blog: www.thebrushbrothers.eu to see more of my and my buddies works. OMG WHAT A RIDICULOUS ARTICLE - THERE IS NO SUCH THING AS DROP PODS IN REAL LIFE!!! On a more proper note: good, clear article about an interesting and efficient technique. The pictures are excellent and very informative. 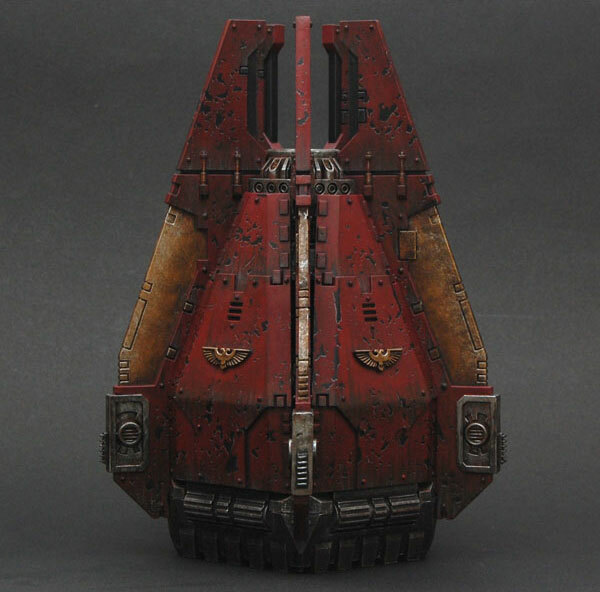 I must also compliment you on your drop pod, the weathering is lovely. The only person I've seen do better is Wappellious, but hey, I'm mostly a fantasy guy. Gold is the most inert, non-reactive of all metals; it will never react with oxygen, either atmospheric or in solution. 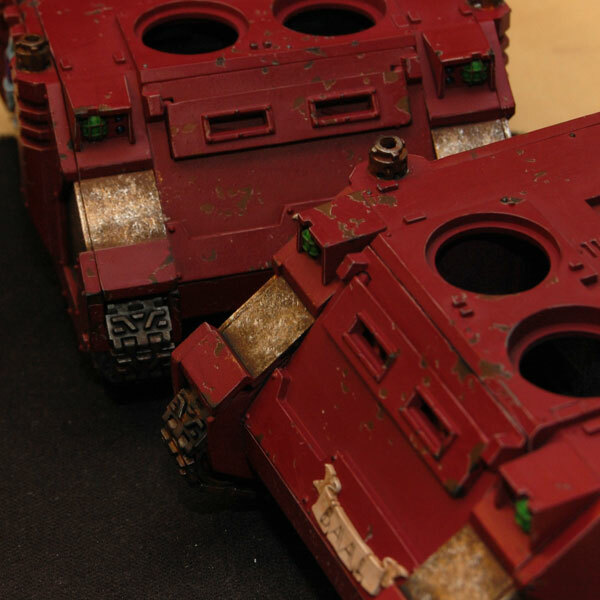 I just visited the GW website and was amazingly pleased to find your work showcased there. Great job mate, and well done receiving recognition for your efforts. Weathered/dirty gold would perhaps be a more suitable title? Not that I care personally..
Great tutorial, I really like the effect!